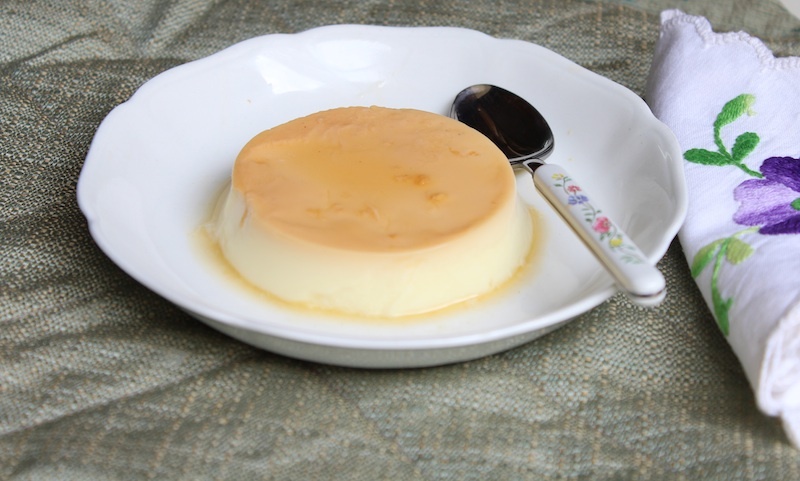 Caramel Custard is a perfect dessert for almost any occasion. This dessert has a lovely velvety consistency that melts in your mouth. This beautiful dessert can be baked as well as steamed. If you have never tried making caramel custard at home, do so right away. Here goes the recipe for this absolutely divine dessert. Put 3 heaped tbspns of sugar in heavy bottomed pan. Place it on low heat and let it caramelize (sugar that has melted and is reddish brown in colour). Keep an eye on the sugar to ensure that it does not burn. Once the sugar has caramelized take it off the heat and pour it into moulds in which you plan on making custard. Tilt the mould immediately in all directions to coat the base of the mould. Crack the eggs into a bowl and beat them up with the rest of the sugar and vanilla essence. Pour hot milk onto the egg-sugar mixture in small increments and continue beating the mixture as you pour the milk. Pour the custard into the caramelized mould. Cover the mould(s) tightly with an aluminium foil. Place the mould on a baking tray with water coming halfway up the sides of the mould. Bake it at 175 C for 30 minutes if you are using a small mould(s) or 45 minutes if you are using a large mould. Let it cool and then refrigerate for a couple of hours. Run a knife along the sides of the dish to demould it. Caramel custard can also be steamed it in a pan with water coming halfway up the sides of the mould for 30 minutes. Hot milk into the egg mixture?? Would not that scramble the eggs? IS there a trick to do this right. I have had an awful experience with heat and beaten eggs..
You have to beat the eggs for a bit and then as you pour the hot milk keep beating the mixture. Try to pour the milk slowly.